Crime Stoppers is requesting information that will lead to the identification of the suspect that stole a Glock 22 magazine on Saturday, November 8th around 3:30 pm from Sportsman’s Warehouse located at 2464 US Hwy 6 & 50. The suspect is a White male, 6’ tall, thin to medium build, with brown hair pulled back in a ponytail and full beard. He was last seen wearing a straw cowboy hat, orange sweatshirt and blue jeans. The surveillance photo of the suspect is included with this blog post. If you know the identity or whereabouts of the subject involved in this crime, please contact Crime Stoppers at 241-7867. Information reported to Crime Stoppers that leads to an arrest can earn you up to $1,000 cash reward and you will remain completely anonymous. For more information, see us at www.241stop.com . 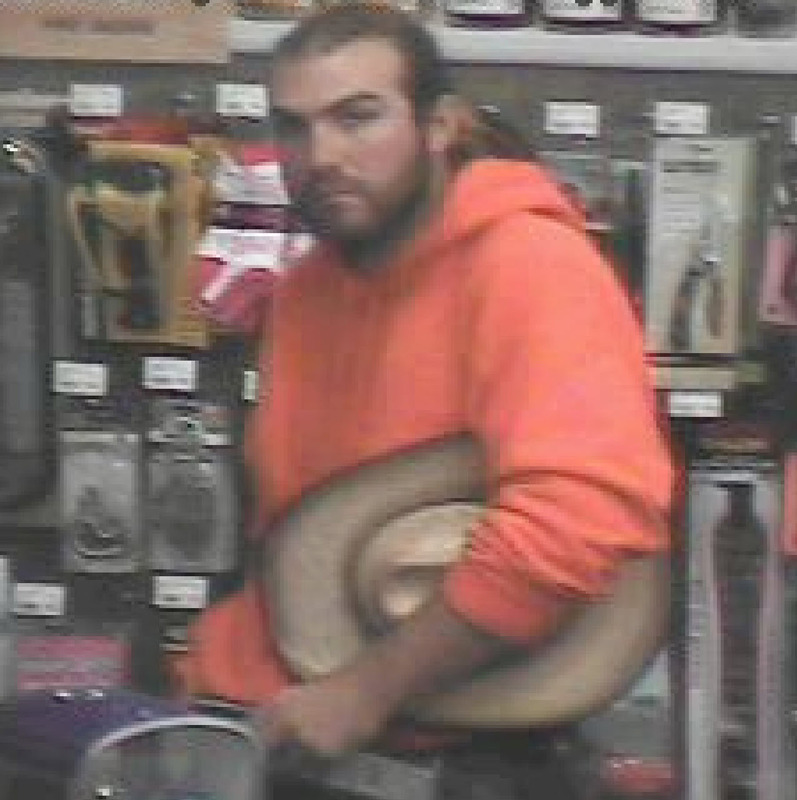 This entry was posted in Crime of the Week and tagged crime stoppers, theft.